I am a teacher at 8 Limbs, both the Phinney Ridge and Wedgwood studios. I’m also a part of the 8 Limbs 500-hour Yoga Teacher Training. I decided to enroll because I felt stagnant. I wanted a push, some motivation, new yoga moves, something to thrust me from the murky waters of the doldrums. My first installment was to go on the Breitenbush Advanced Training Retreat II with Jenny Hayo, Melina Meza and Chiara Guierre. I am freshly back and happily renewed! There is a poem called “Go In and In,” if you’ve taken my classes you may have heard me read it. Danna Faulds wrote a book of poems by the same title, each poem in the book was written after an asana practice. The poem, which I’ll print at the bottom of this blog, speaks to me about touching the deepest part of ourselves, and as I interpret, fearlessly. We don’t live in a culture where this is easily encouraged or practiced. Who has the presence to ask what her soul wants when bombarded with the choice of 100 ice cream flavors. I don’t eat dairy but you get the idea, it’s easy and normal to be overwhelmed by the vast choices of abundance and to feed only our most surface desires. The retreat at Breitenbush allowed me to go in and in, the nurturing energy of nature and the support of the teachers created and encouraged the spaces in myself to open up, renew and let go. The cool mountain air and heat from the springs aided my transformation. The bond and support of newly formed friends allowed me the strength to look into the mirror. This retreat was, in many ways, about yoga off the mat. The yoga that after years of practice emerges from the layers hidden underneath the asana are uncovered and made ready by our effort and enthusiasm to know oneself. We, as teachers, say it over and over again – the asana is just preparation for the meditation – and this is true but there is a meaty layer of the self between that bliss of meditation and the sweat of asana. And that meaty layer needs to be digested. Melina has a saying she uses when talking about our health, “ you are what you eat…….and don’t poop.” This is literal and metaphorical. Clearly we understand the physical interpretation but what about the ethereal metaphor for our spirit? There is a whole lifetime of experiences and interpretations of these experiences that we hold on to so that we can understand the world in front of us. Ego. The psychological safety net that pads our hearts from what may feel like the indifference of nature/life. I hope you have the opportunity to go on a retreat like this one, where you look into yourself and find the authenticity to act from the heart (thank you Jenny) and the self knowledge to care for yourself by understanding your habits and surroundings (thank you Melina) and the presence to see oneself by differentiating wants from needs and to take the time to ask yourself what you really feel in any moment (thank you Chiara). I encourage you to do a retreat, any retreat that allows you to step outside yourself, not only for yourself but also for life itself, make your life worth living and the world worth living in. on the tongue of life. as deep as you can dive. Be love conceived and born in union. 8 Limbs offers Advanced Training Retreats at Breitenbush every April and July/August. They are part of our Teacher Training Programs but also open to committed practitioners interested in diving deep in practice and self-inquiry. Summer 2013 dates will be posted in the fall. 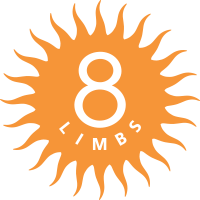 To learn more about the 8 Limbs Teacher Training Programs visit our website or come to an Info Session, next one tonight, Monday, July 16 at 8:30pm, 8 Limbs Capitol Hill (enter through grey door next to Brocklind’s).